What is the Best Camera for the Outdoors? We get a lot of questions about which camera to bring and how to protect it. Some excellent products have come along in the last few years to ensure that photos and video will be an abundant part of your memories! This video (below) should address most of the concerns you may have. Helpful links are included in the written information below the video. 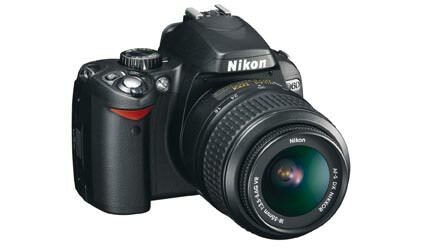 These cameras are perfect for everyday use and have become very affordable with most at $100 to $300. 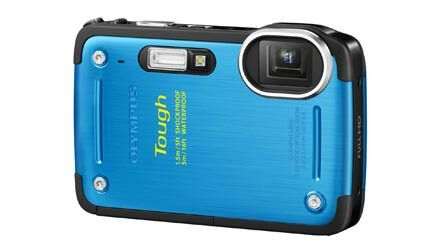 They’re rugged and waterproof, but also elegant and trim like any other digital camera. 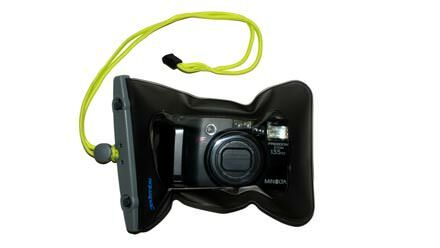 Together with their durable waterproof cases, these cameras can take some nice shots while on and off the water. Generally, the wide angle zoom cannot be adjusted so this should be taken into consideration. 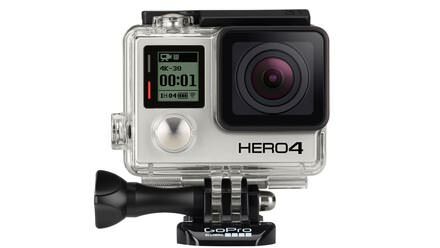 We ask that you plan to mount these cameras only with the head strap or helmet mount options (bring your own helmet). You will not be allowed to mount the cameras anywhere on the rafts during travel on the river. It is possible to bring a larger SLR camera, but be sure to have something sturdy to protect it. We recommend a hard-shell Pelican Case if you’re planning to bring a more expensive camera. Space is limited on the boats, so we try to keep additional camera equipment minimal. While your are in remote areas during your trip, there will not be any location to charge your batteries or devices. Consider bringing extra batteries and memory cards and don't forget to charge your extra batteries before you get to the river. Filming from an appropriate location - Wearing a camera in certain locations could endanger yourself of others around you. 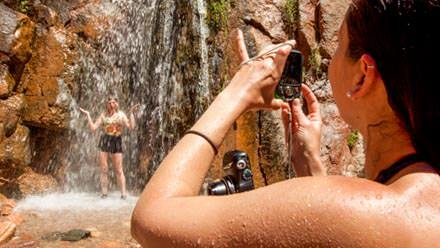 If you guide feels that your use of a camera may put you or another guest in danger, you may be asked to put the camera away or move to a safer location for filming. Shut down cameras in emergency situations - For the privacy of those involved and your own personal safety, you will be expected to shut your camera down if first aid is being rendered or in an emergency situation. We need all guests to remain alert and undistracted from filming in such situations.